From 1st April 2018 members can fish an additional length of the canal near Market Drayton, namely from Bridge 66 (Betton Wood) to Bridge 69 (canal turning basin at the top of Adderley locks). 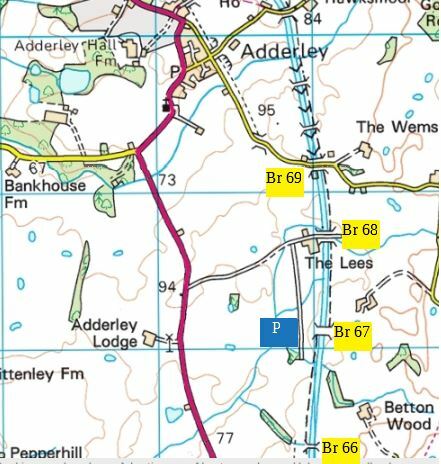 There is very limited free roadside parking at Adderley, but arrangements have been made with a local farmer for parking near bridge 67 – see map and description below of how to access this parking. Please note this parking is only available due to the goodwill of the farmer, and is given in return for payment of a small fee (£1) – which is to be placed in the white honesty box provided. Take the A 529 Adderley/Audlem Rd out of Market Drayton. From the ‘gingerbread’ roundabout on the edge of town drive for about 2 miles then turn right into drive/track leading to ‘The Lees’ farmhouse (Mr Brindley). 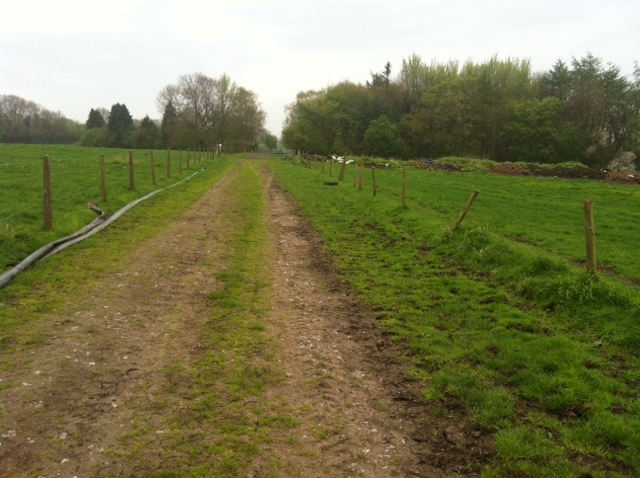 Go down this (with row of conifer trees either side) until you reach a static caravan, then turn right through 2 sets of gates (ensure they are left either open or closed as you find them) and proceed along the old railway track where, after approx 600 yds, there is a gate on the left with a white honesty box attached to the gate post. Park just before it on the right hand offside of the track. 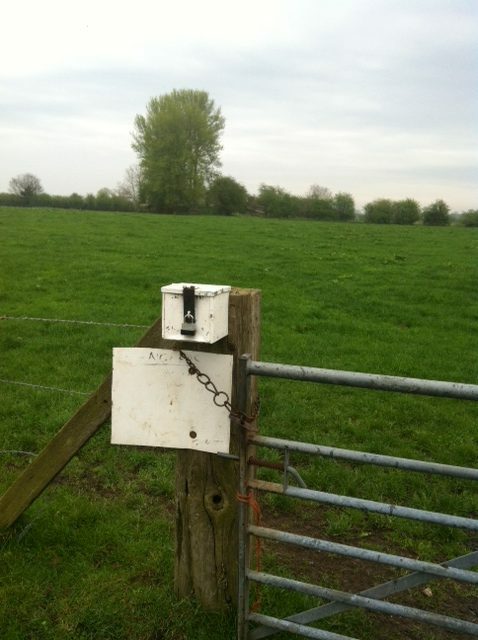 Walk through the gate next to the honesty box and ahead you’ll see a tall tree across the field by bridge 67. Walk to the bridge and then take the towpath (left or right) to find a swim. IMPORTANT – ON NO ACCOUNT SHOULD YOU DRIVE ACROSSS THE FIELD UNLESS SPECIAL PERMISSION HAS BEEN SOUGHT FROM MR BRINDLEY – WHICH WILL USUALLY ONLY BE CONSIDERED, VIA THE CLUB, FOR SPECIAL MATCH EVENTS. 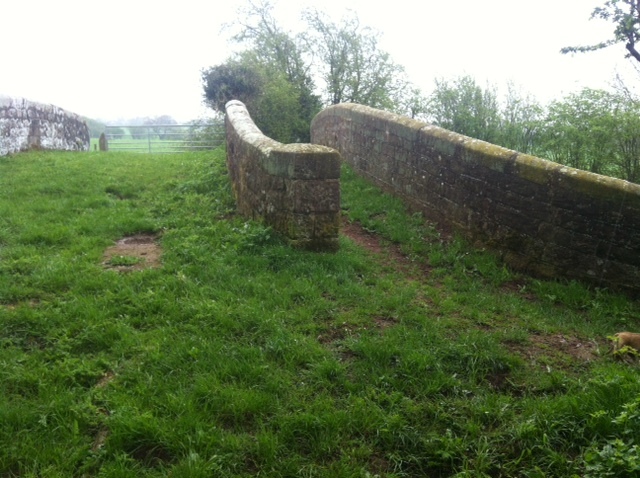 Bridge 67 – a towpath ‘crossover’ (roving) bridge – showing the split towpath and farm access routes. If you’ve not been a regular angler over the winter, the warmth (soon?) of spring and the arrival of membership cards for the year ahead makes this a good time to dust off your tackle and plan ahead. Fees remain unchanged from last year, and are great value given the range of waters we have*. In addition to renewing your card, why not encourage someone else to join – a trail ticket is available if desired. *Indeed, an extra length of Canal is to be added from April 1st, with details added to the Website soon and also provided with Membership Cards. See our Club Membership page for details. At the AGM the existing committee was largely re-elected, but with the welcome addition of two new (co-opted) extra members willing to help look after the club, namely Dan Yale and Eric Brown. Special thanks are due to them both, as without ‘new blood’ the club, like all others, could not continue to thrive. To see/contact members of the Cttee view the ‘Contact Us’ page. Members are invited to attend this year’s AGM, which starts at 7.30pm at Hodnet Social Club on Wednesday 7th February 2018. We have had a good year as a club and this is your chance to come along and find out more about what has been done and what is planned. A small free buffet will be provided. Anyone wishing to stand for election to the committee or wishing to put forward a rule change, etc, should contact the secretary immediately and then, in accordance with our constitution, ensure that suitable written information is provided to the committee before our next meeting on Wed 24th January. As you may be aware, our club played a big part in this years CRT angling competition finals. In particular, Terry Nutt and Dave Watkins devoted a huge amount of time and effort to this and not oly was this recognised by CRT but deserves the heartfelt thanks of all our members for raising the profile of our club and the CRT waters we fish. Well done guys! You can find more info and results on this webpage. The Angling Trust have sent us a round robin e-mail, part of which [pasted below] maybe of interest to members. The Angling Trust recognise the enormous damage that cormorants and goosanders can do to fish stocks in both rivers and still waters. We want to do more to enable fishery managers to be allowed to control these highly destructive birds. We’ve been asked to let members know that the ‘Blooming Tails’ pet shop in Market Drayton has started selling some fishing tackle and bait, including maggots. They say they get fresh bait delivered every Tuesday and if any of our members need other bait – such as worms/casters – then they can add them onto their weekly order for you. This will undoubtedly be a useful local service, so please spread the word and, more importantly, try and support it. Their shop is open Tuesday/Wednesday/Friday/Saturday 9:00-5:00 and Thursday 9:00-4:00. P.S. For those that know him, I can confirm that Roy Cooper still sells some tackle/bait from his home, but he welcomes this new facility as he now spends a lot of his [retirement] time ‘on the bank’, i.e. fishing! Lucky man.